The workshop includes course materials and practice time for all students. Students will train with Tav Rayne, a Karuna, Usui Tibetian and Tera Mai Reiki master practiced in many alternative therapies, who is committed to teaching an ethical, holistic healing practice. What does Reiki have to do with everyday life? Will being able to channel Reiki make a real difference to my life? **note: signing up will send you course updates and information but does not obligate you to take the course. Channeling Reiki – What it means, tuning into earth energy. **Note: This course uses manuals from the International Center for Reiki training and the instructor is a Professional Member of the ICRT Association. In 2007, Tav Rayne was introduced as, “one of Vancouver’s Top Psychics” on the CFOX Radio morning show. She has worked with hundreds of people, to help support them in finding and walking authentic and integral, spiritual and personal life paths. 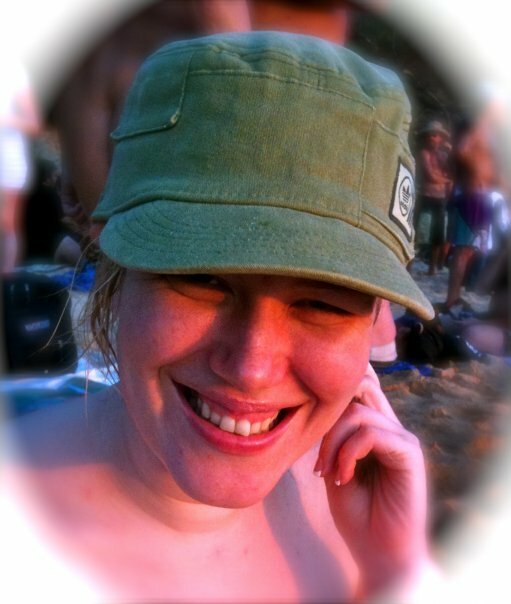 Rayne has been a Reiki Master Teacher since 2005. She is a Reiki Master in the Tera Mai, Usui/Tibetan and Karuna Reiki systems and is a Professional member of the International Center for Reiki Training. She is certified in CPR, AED and First Aid with Red Cross. Rayne has formal training in Counselling Psychology through the Vancouver College of Counsellor Training. A life-long intuitive, she has been teaching meditation since she was thirteen years old. A miracle child, born to parents who could not have children, she has performed exorcisms, and been hit by lightning. Rayne has practiced and worked as a youth leader and Christian missionary, a Pagan High Priestess, a Shaman and was initiated as a Sacred Sister of the Dao in 2007. At 22 she self-published “The Enlightened Tarot” and founded West Coast Center for Enlightenment in 2006. She has also studied Yoga, The Tao, Buddhism and Martial Arts, Five Rhythms, Qi Gong and Shamanism, among other disciplines in her path to personal healing and a broader understanding of the human spirit and spirituality. It’s no secret that the frenetic pace of life today can leave us feeling achey, empty, frustrated, fatigued, ill, depressed, depleted and generally disconnected — perhaps from ourselves, each other, or from the spirit with which we want to live. Reiki, or Universal Life Energy — is a powerful, life-giving force: it is an energy that flows through the earth and through every part of it, including each one of us. Each of us is born with the ability to channel Reiki, but most of us become separated from our own energetic connection with the universe as we get older. Many of us have no frame of reference to even understand our own energy field and how it connects with the universe, let alone be aware of having these energies blocked within us. But even if we aren’t aware of our “energy blocks” in those words, we know their symptoms intimately. How Can Reiki Heal Disease? We don’t mean that Reiki healing is the therapy to end all therapies. Medical specialists, counselors, massage therapists etc. are all important. However, Reiki — universal life energy — is an integral part of our being, and connecting with it – re-connecting with it – can create very powerful changes within one’s life. (Note: This Reiki course will explore scientific research that studies that effects of Reiki upon those attuned). What difference does it make whether I can channel Reiki or not? Not everyone is ready to move into a different life, even if it is closer to their dream life. Sometimes ruts are comfortable, and that’s okay. When you are attuned, the changes that occur within your life will only be those you are open to receiving — in other words, you are not a passive recipient of the flow of Reiki. It is impossible for Reiki to harm or hurt anyone — that means that while becoming attuned, you can practice Reiki on yourself, your family, your pets, your plants, your food as much and as often you like, knowing you can do them nothing but good! Sign up Now and receive the syllabus and outline for the Usui/Tibetian Reiki Level One Degree (FREE)!